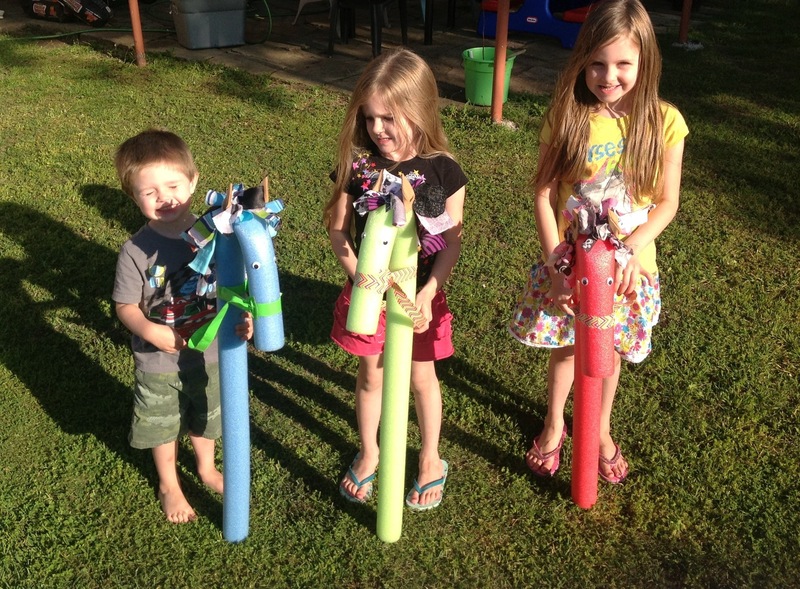 Pool Noodle Horses | My Crazy Blessed Life! 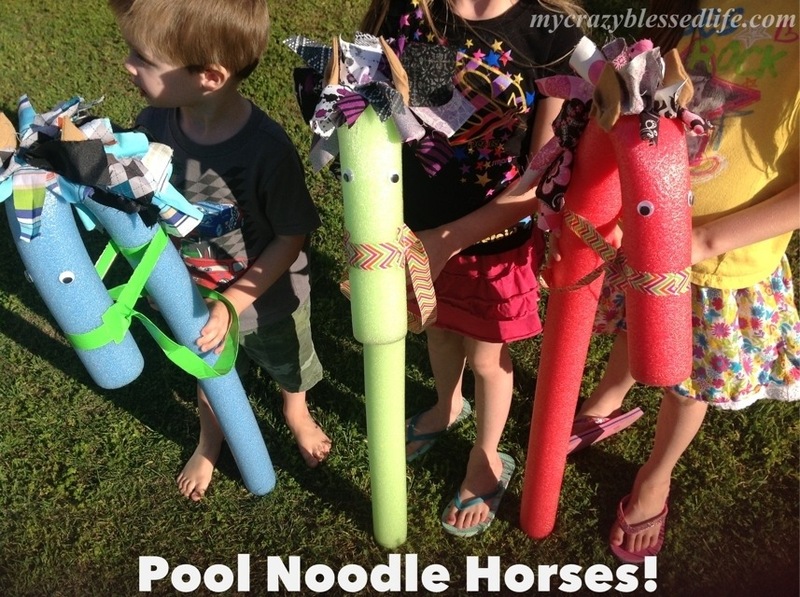 Pool noodle horses are easy, cheap and lots of fun! 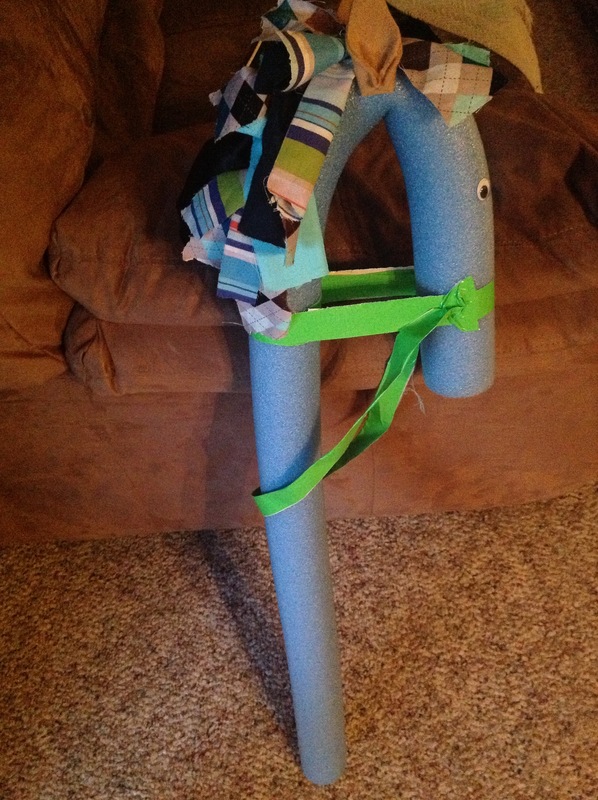 First use the duct tape to make the bridle and reigns. Add googly eyes. 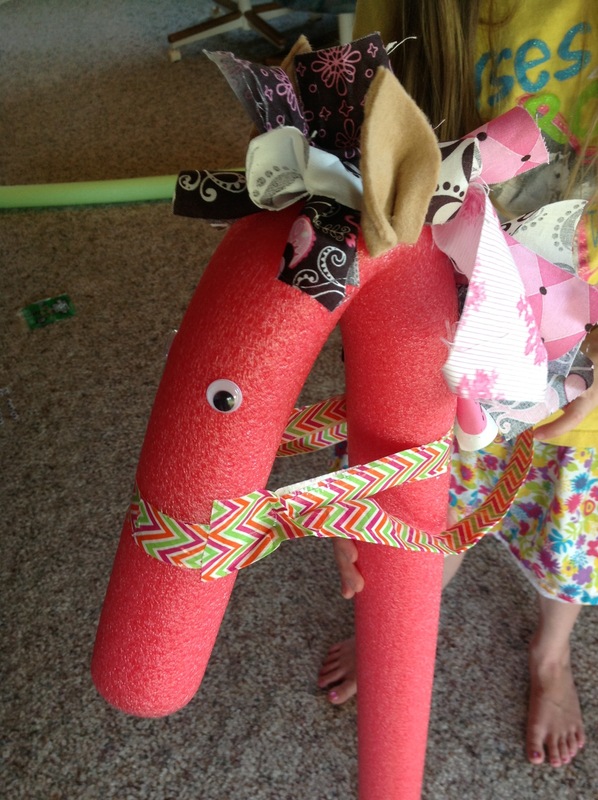 Let the kids pick out scrap fabric strips for the adult to hot glue on for mane. Hot glue on some felt ears. The kids have been playing with these for a few days and haven’t tired of them yet! 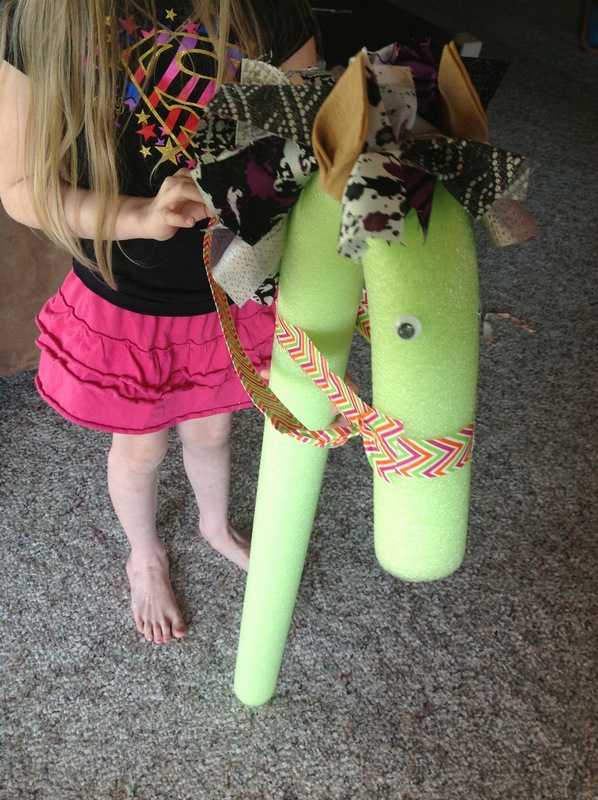 Katie has carried hers everywhere, I think it was the best three dollar craft I’ve ever done with her. 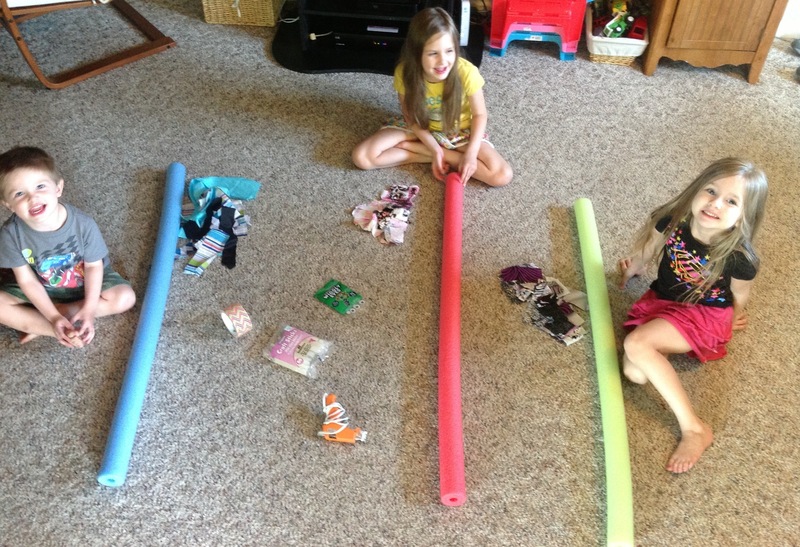 We had everything but the pool noodles so the three dollars for the pool noodles is all I spent. It doesn’t cost a lot to have fun with your kids 🙂 Thanks for stopping by! I love this idea and can’t wait to try it. Thanks for sharing. I’m SO happy that I found this! I just started my little craft supply/tutorial page on FB & I’m definitely sharing this! With full credit to you, of course! TOO cute not to share!